Ad Extensions: they inform, they delight, they engage, and they deliver. With our past releases of Callout and Structured Snippets extensions, Bing Ads addressed your feedback asking for versatile ways to showcase and categorize key information about your business. This year, we’ve shifted our focus in ad extensions from providing more context to unlocking new scenarios for you. With Price Extensions, advertisers can directly show potential customers the product or service they want, when they’re looking for it, front and center on Bing Search results. Clicks on Price Extensions can link to your website or a preferred third-party storefront like Amazon. Price Extensions are now available to advertisers in all Bing Ads Markets and serve in the United States, United Kingdom, Canada, Australia, France and Germany. We will be rolling out to all remaining markets over the coming weeks. This extension supports a variety of languages, currencies, and options to help advertisers quantify their product prices or units of service. Help your customers convert by adding Price Extensions to your campaigns today. Like Sitelinks, clicks on Price Extensions will be charged the same CPC as clicks on the ad headline. Price Extensions can link to a preferred third-party retailer, like Amazon or Walmart. 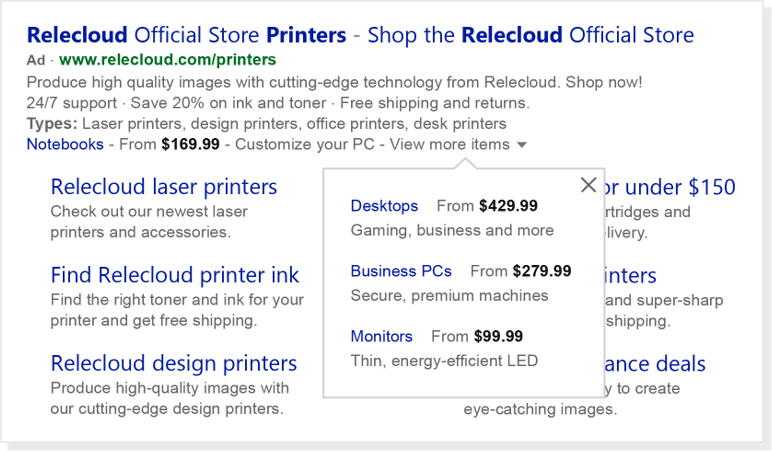 Price Extensions serve on all devices and can be shown with other ad extensions, including Sitelinks. Description cannot be duplicated in the header. For example, "Women's haircut" cannot be used for both the header and the description. In addition to using the Bing Ads UI to create Price Extensions, advertisers can import their extentions from AdWords and create them programmatically using the Bing Ads API (Campaign Management, Bulk). For additional information on Price Extensions, check out our Help page. 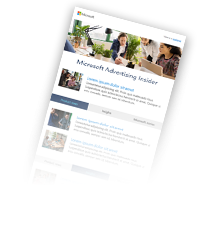 For any questions or feedback regarding Price Extensions, we encourage you to reach out to your Bing Ads account manager or directly to us at bingads-feedback@microsoft.com. On behalf of the Bing Ads team, we hope you enjoy this new extension.